I'm looking to change phones, and am looking at the CPO iPhone 6S in particular. Strangely I get the same thing with the CPO iPhone 6: instead of being a $120 tab charge, as advertised, it becomes $240 in the cart. The CPO Samsung A5 however works properly – both on the page and in the cart it's $7 / month. @andrao Sorry for the delay, was waiting to get some clarity. It appears that you're applying an offer available to you, that brings the price of the phone down to $215 - is that correct. If so, then the pricing you see on the phone page would be correct, and that is how the balance will be deducted. The cart page you referenced doesn't appear to be updating dynamically to include your offer info., which we'll need to look into and fix, but does that help for now? 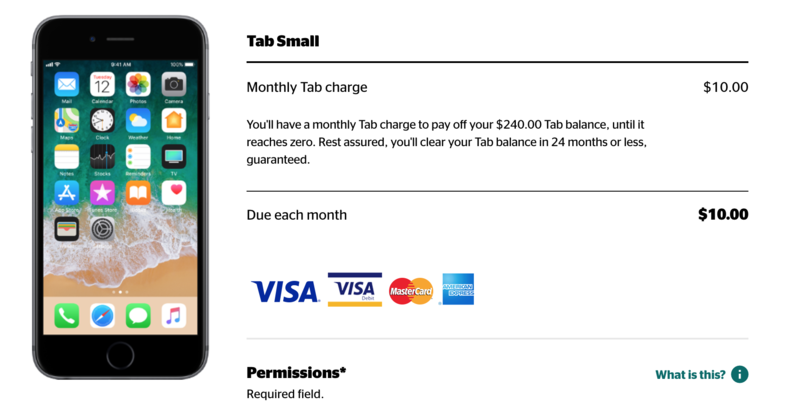 Essentially, whatever the final price of the tab is, after any available offers get applied, is what will be divided into 24 payments (and/or rounded as you mentioned above, i.e. $9/23 months + $8 for month 24). 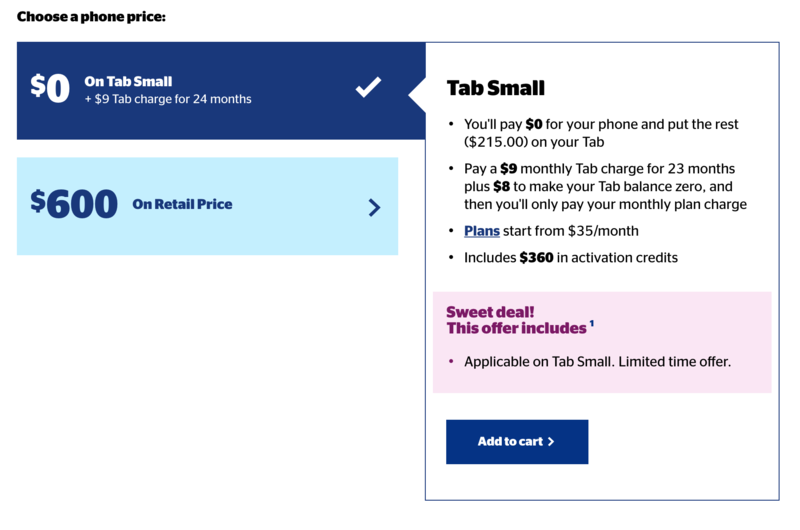 Looks like an error on koodo's page when applying the tab when less than the Tab Small amount. Any action on this? Still having the same issue.